Congratulations to Niall Rooney for winning! A year and a half ago, I was given the all clear from my Doctor after my fractured skull and three brain hemorrhages. I felt I was given a second chance at life again, so I decided to make the most of it this time around. I took a look at myself and I weighed a whopping 270lbs. At that point, embarrassment consumed my daily tasks because of how I looked. This is when I got training with Shane, my personal trainer in Goodlife. My initial goal was simple: to look and feel better. To look and feel good would be a bonus. What is great about my transformation is that it happened gradually over time, pound by pound shed away and I could still live my normal life while keeping motivation high. By no means was this transformation easy, but breaking habits, learning about new foods and how they are beneficial coupled with three personal training sessions every week equipped me with everything I needed to succeed. As time went by my struggles to find clothes that fit me comfortably disappeared. This massively increased my self-confidence and most importantly, my self-belief. Now at 85lbs lighter, I am confident to walk down the street and look at myself in the mirror. This is a feeling that I have never experienced before. 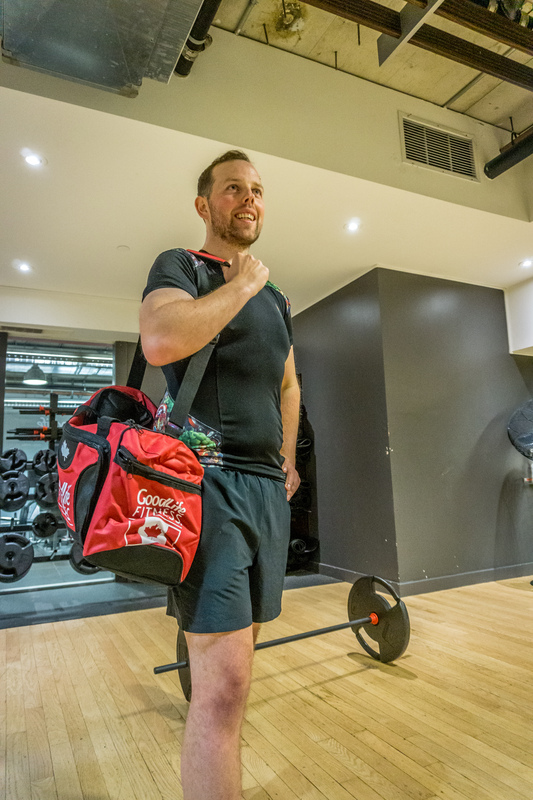 I want to continue and share with the people around me that it is easy to change your lifestyle for the better when you work with your personal trainer and put your mind to it. So far, my other achievements include my first ever chin up and a 6:30 minute mile run.